Master Mental Game Coach to Motocross Racers Finds Secret to Eliminate Arm Pump in Motocross! If you struggle with arm pump at races, lose confidence easily, or cannot take that relaxed practice moto to races, this could be the most important article you may ever read. The ability to race freely without tension or anxiety is what separates champion racers from the rest of the competitors. You can possess all the physical talent in the world, have the best equipment money can buy, and train harder or longer than anyone else in racing, but if you tense up on the line or try too hard to win, you will tighten up and give the bars the death grip, which leads to arm pump. Having helped many of my students overcome arm pump, you can now discover the mental game solutions they have used. Rocket Your Racing to New Levels! The top four mental breakdowns that lead to arm pump. Why some theories about arm pump are dead wrong! Six mental strategies to help you race your best – free of tension and anxiety. A step-by-step prerace mental preparation routine to help you get into a confident, focused, and relaxed state of mind when the gate drops. How to fuel your self-confidence before each moto so you can get on the podium. How to use mental imagery to race with freedom and composure. Working with some of the top athletes in the world including Motocross Champions, NASCAR winners, and CHAMP Car Drivers on techniques to improve confidence, focus, and composure for racing. Interviewing many top athletes in the world including Ernie Els, Mario Andretti, and Jeff Emig to uncover the strategies, techniques and skills that keep these professional athletes at the pinnacle of performance. Earning a Ph.D. in Sports Psychology from the University of Virginia having published more studies than any other students at the time. how to race your best in competition! Can you picture yourself right now walking your bike to the start line with a relaxed mindset and unwavering confidence beaming like a bright light? Imagine feeling calm, composed, with only confident thoughts, and ready to ride up to your ability. Now you can learn how to think like a champion and race relaxed. It’s not hard or impossible to achieve – I help my racing students reach their goals everyday and you too can learn the same strategies I teach to my students that I have helped get on the podium at Nationals. Do you have tons of confidence in practice only to have that hard-earned confidence disappear when you enter races? Competitive confidence is the only confidence that counts when the gate drops. If you can have a relaxed practice moto – free or arm pump – but go to races and tighten up on the 2nd or 2rd lap, then this tells me you are not racing to your physical potential. Why would a racer have loads of confidence one day before in practice and then feel like he or she can’t crawl out of the gate on race day? There are many reasons athletes consciously or unconsciously sabotage their performance when they go from a practice to competition, too many to mention here. Let me help you put a stop the mental breakdowns. You can learn to race with confidence and freedom in competition than you do in practice by identifying the specific ways you pressure yourself to perform in competition. arm pump, how to eliminate arm pump, and how to race like a champion. Valued at $85 Are Included! Learn how to identify and discard the very expectations that will dampen your confidence. Sometimes racers can forget the important lessons in the CD program, but we have you covered with a special RacePsych Mental Prep Summary Card! The RacePsych Mental Prep Card summarizes the key mental skills of your prerace routine. This special Prerace Summary Card will arrive by mail along with your CD program. Special Bonus value: $20.00. A free 18-minute bonus audio prerace relaxation and mental imagery program to help you learn to control your tension level and to ingrain the top 6 mental skills for racing success. The program is also a great summary of the 6 Arm Pump Solved mental skills I teach you in the CD program. This special audio program will arrive by mail along with your CD program. Free bonus audio program value: $50.00. I stand by my work and reputation as a leading mental game professional. If you are not completely satisfied with “Arm Pump Solved” program, you can return the CD and bonuses (within 30 days) for a full refund, no questions asked! What is the one mental skill that all champion racers possess? What are you waiting for? I am virtually giving away all my arm pump secrets in my unique, real-life tested program, available to you at this low introductory price. When I sell out my limited supply of 100 copies, the next printing I release will cost you more bucks. The easiest and most efficient way is to place your order online today and download one of your bonuses in seconds after you complete your order. Click Here to Order Now. Call toll free 888-742-7225 and place your order with a valid credit card. Have your email, address, phone number, and credit card handy. Thank you for taking the time to read about “Arm Pump Solved” – the best investment you might ever make to rocket your racing career to new heights. I look forward to helping you reach your goals with more confidence and freedom on the track than you can imagine. P.S. You can learn the same confidence-boosting strategies I teach my personal coaching students for a fraction of the price. Ask yourself: What is the most important mental skill in sports worth to you? Click here to order “Arm Pump Solved”‘ – Guaranteed to rocket your confidence to new heights! P.S.S. Become a peaksports.com member today and immediately download five mental training e-books. Click here to demo peaksports.com membership program. *Testimonials found on this site are examples of what we have done for other clients, and what some of our clients have said about us. However, we cannot guarantee the results in any case. Your results may vary and every situation is different. No compensation was provided for these testimonials. 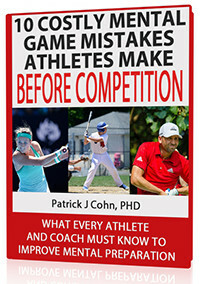 DISCOVER IF MENTAL COACHING IS RIGHT FOR YOU OR YOUR ATHLETES! Learn How You Can Benefit From Sports Psychology Coaching! Call or Email Us Today for a Free 15-Minute Sample Session. What is a Sports Psychologist?